MYHockey Tournaments is pleased to announce that our Charlotte, NC tournaments will operate in cooperation with the Hemby Cup, benefiting Novant Health Hemby Children's Hospital & The Ronald McDonald House of Charlotte. Since 2001, funds raised have topped $800,000 and have been used to build a hospital playground, fund the Arts for Life program and purchase needed medical equipment and toys. For more information visit www.hembycup.com. Charlotte is a great location for teams from the Northeast, Southeast and Midwest to meet and enjoy great competition. 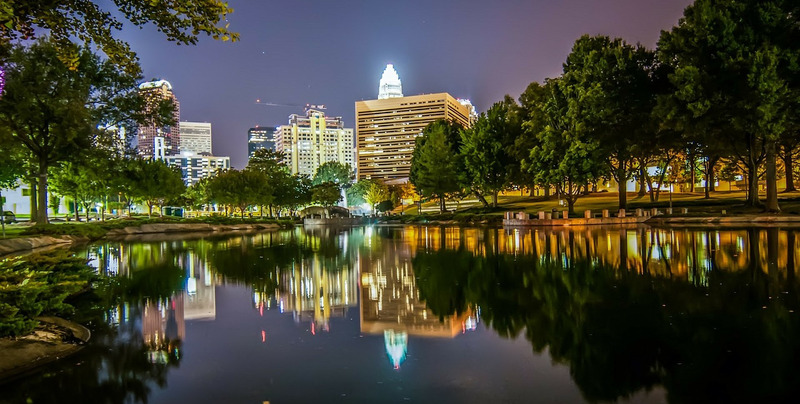 With the excitement of a cosmopolitan city, outstanding entertainment and shopping opportunities, and the ease of Southern charm, Charlotte presents a unique atmosphere where big city style meets down-home appeal. Games will be played at Extreme Ice. 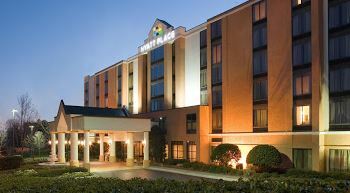 We hope to have the list of hotels we will be using finalized shortly. In the mean time, here is the list of hotels we used last season and we anticipate using a similar list for out events this season. 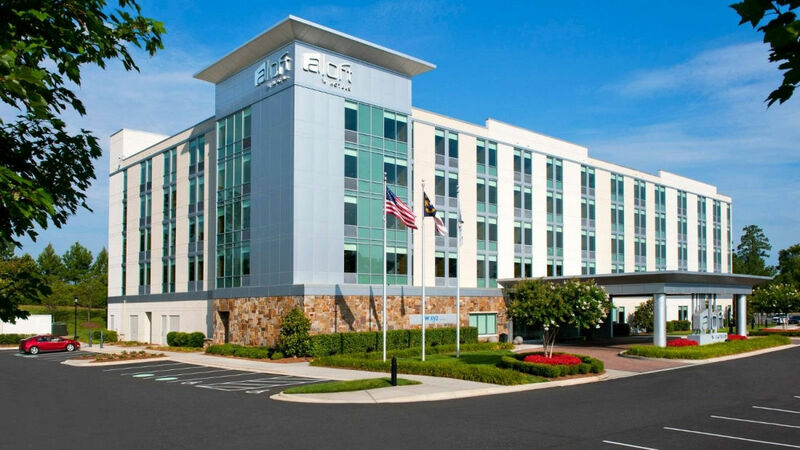 Aloft Charlotte Ballantyne has a fun, upbeat and a vibrant décor and elevates your sense of stay! 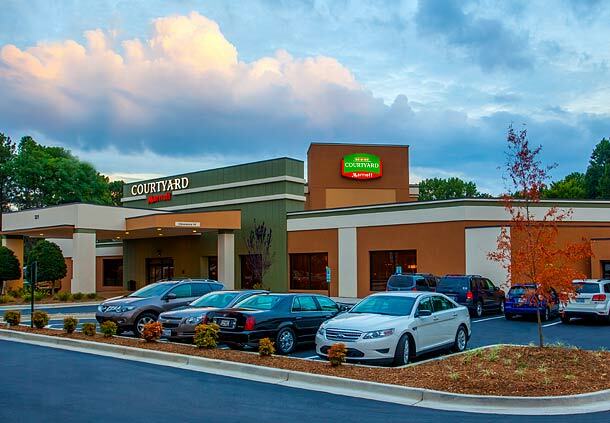 Conveniently located to several major interstates and downtown, Courtyard by Marriott Charlotte/Matthews is the perfect place whether for for business or pleasure. 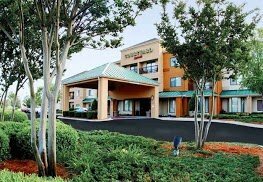 Hampton Inn Charlotte/Matthews is close to the city but far enough away to enjoy a relaxing pace. 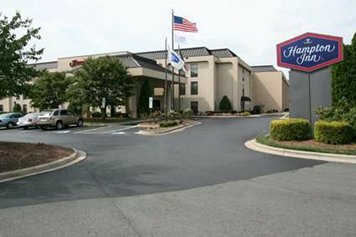 Our Charlotte hotel is located near Interstate 77 and only a mile from the Lynx Light Rail offering easy access to Bank of America Stadium, Time Warner Cable Arena, NASCAR Hall of Fame and area business parks. As an all suites property we offer our guests full kitchens, free Wi-Fi, separate living areas and a work desk in all of our guest rooms. 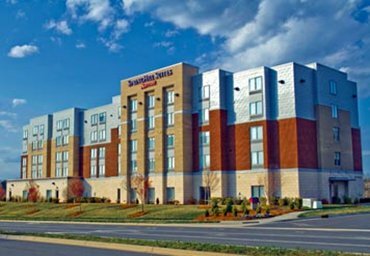 Refresh your travel routines at Residence Inn Charlotte Airport, located just minutes from Charlotte Douglas International Airport (CLT). 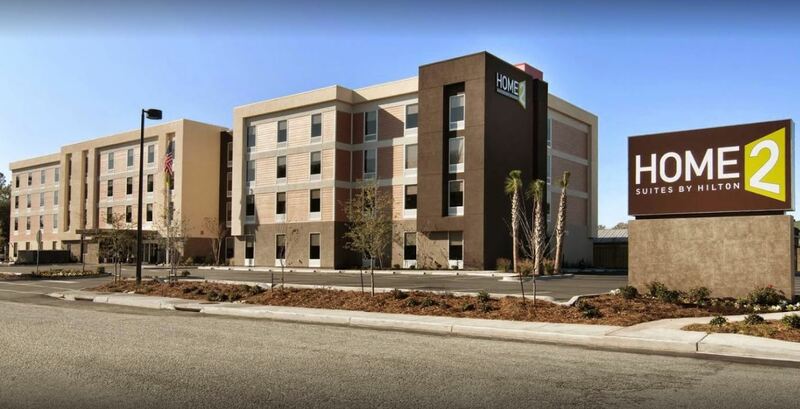 Any team whose home rink is greater than 70 miles from the tournament rink, will be considered and out-of-town team, and will be required to comply with MYHockey Tournaments' hotel policies and procedures. Do NOT contact hotels directly! Reservations must be done through MYHockey Tournaments. 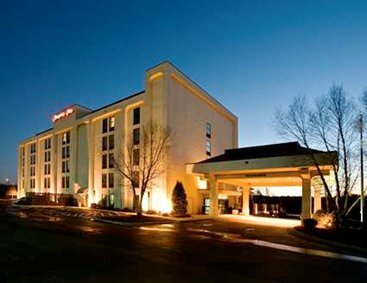 As a condition of acceptance to the tournament, all out of town teams MUST reserve rooms through MYHockey Tournaments and stay in an authorized hotel, at tournament rates. No other rates, discounts or hotel reward points, regardless of how obtained will be honored. No exceptions. Failure to comply and/or attempts to circumvent procedures and obligations will result in expulsion from the tournament. In this situation, registration fees will not be refunded. A minimum of 20 room nights is mandatory (i.e. an average of 10 rooms for 2 nights each is 20 room nights.) Teams with less than 20 total room nights will be ineligible for semi-final or championship play during the tournament. Teams with less than 20 total room nights may have their eligibility for semi-final or championship play reinstated by paying a penalty totaling $50 multiplied by the difference between 20 and the total number of room nights used by that team. Lists should be completed as soon as possible. After a completed list has been submitted to MYHockey Tournaments, your list will then be forwarded to the first available tournament hotel, based on your preferences. Information on your team's hotel, hotel contact person and game schedule will be available at least 14 days prior to the start of the tournament. Changes to the rooming after this time will be coordinated directly with your team's hotel contact at that time. Room additions, deletions and special requests or instructions regarding your team's room block should be coordinated through your hotel contact person. All hotels attempt to keep your team as close together as possible. However, keep in mind that special requests and rooming list changes may tend to fragment your block. The hotel will accept individual cancellations until 6:00 pm 72 hours (3 days) prior to arrival for the listed party. Individuals not canceling more than 72 hours in advance will be considered a "no show" and will be charged for one room night plus tax. Early departures (parties checking out earlier than the departure date listed on the rooming list form) are subject to fees determined by the hotel (typically one nights room and tax). 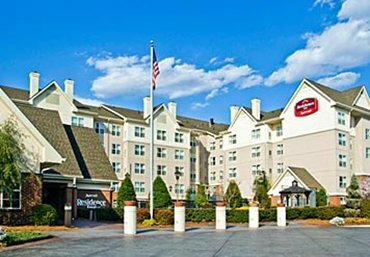 Teams cancelling more than 50% of their entire room block within one (1) week of the tournament start date will be subject to charges for one night per room plus tax, for their entire block of rooms originally listed on the rooming list. At check-in a representative of each room should leave a credit card imprint to cover incidental charges (i.e. phone calls, room service, movies, etc.) incurred throughout the weekend. Teams and individuals may check in throughout the day or evening. 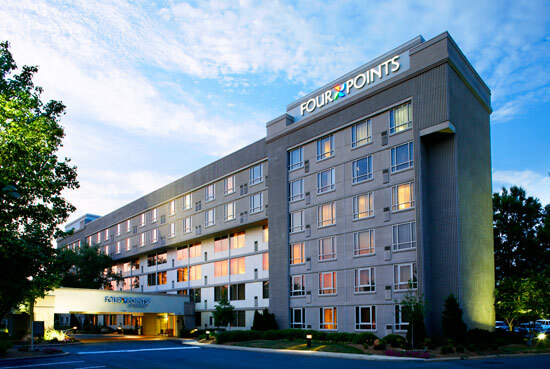 Hotel check-in times are typically 3:00 - 4:00pm and are posted on the Hotel Information Page. All rooms are guaranteed for late arrival. Most Hotels will provide a complimentary guestroom per team based on the team meeting a specific number of paid guestrooms. This should be used for either the coach, manager or bus driver. Maximum 1 comp room per team per night. Please indicate on the rooming list form, the room that is to be designated as the complimentary room if your team meets the hotel's requirements. Please refer to the Hotel Information Page for each hotel's specific Complimentary Room Policy. It will be indicated in each of the hotel's descriptions. Room types will be either 2 double beds or a King bed with a pullout sofabed, unless otherwise notated. There is no guarantee of room type, only that you will have one of these two types. Most room types can accommodate up to four individuals. Rollaways/cots are available at most hotels. Extra charges may apply (typically between $10-$20 per cot per night). Teams requesting lodging at the same hotel with other teams should indicate this to MYHockey Tournaments on the Hotel Preferences Page. It is best if teams requesting to stay together submit their lists on the same day. MYHockey Tournaments will accommodate these requests whenever possible, but cannot guarantee that suitable blocks will be available when the rooming lists are submitted. It is our goal at MYHockey Tournaments to place teams in divisions which provide the closest match to your team's age and skill level. This goal is made more difficult because age divisions and skill classifications vary from state to state and between the US and Canada. It is possible that your team may play teams that are slightly older or younger than those in your home playing area or with a different designation, AA, A, B, AE, etc. for skill level. Age groups for teams from the US and Canada are largely the same, however areas with larger numbers of players, Ontario, Michigan and Western New York, for example, separate major and minor aged players within the age group. When evaluating placement the age make-up of a team is one of the first factors we explore. Most teams and associations are now familiar with the website, www.myhockeyrankings.com. The rankings website includes game scores for teams of many levels across North America and calculates ratings and rankings for teams based on their scores and the scores of their opponents. Differences between ratings are useful in predicting competitiveness between teams. The rankings website is the single best resource for comparing and placing teams and we will place teams primarily based on their rankings and ratings at www.myhockeyrankings.com. In some cases a AA team from one league may fit best into an A division based on their ranking/rating and an A team from another league may fit best into a AA division based on their ranking/rating and we will make these types of placements when appropriate. For early season tournaments, we may utilize ranking and rating info from previous seasons as well as our experience with organizations, teams and leagues to guide placements. As the season progresses, the rankings and ratings become more accurate and this information becomes the primary reference source used to place teams. We will place your team based on all of the information available to us. We have extensive experience in placing teams from throughout North America and we reserve the right to make the final decision on placement. We are very happy to discuss your team's placement, based on all of the information we have, and the rankings/ratings of the other teams within your team's division. AAA Divisions - These are "Elite", Tier I or AAA teams and are generally the top teams chosen with their region or city. AAA divisions are almost always fielded as single birth year, Major or Minor, divisions. AA or Major divisions - Teams in AA or Major divisions will often be the "best" or first picked travel team within a Tier II organization. These teams will often consist primarily of "second year" or "major" aged players within the age group. In some cases, Major aged "A" teams, with an appropriate ranking/rating will fit best into these divisions. We will sometimes field multiple AA or Major divisions within a tournament and will designate these as AA1, AA2, etc. or Major 1, Major2, etc. The idea behind fielding multiple divisions is to provide a narrower range of competition. There will be separate champions for each division. Minor divisions - when divisions are labeled as "minor" they will include only minor aged players within the age group. In areas close to many minor aged teams, we will commonly field minor aged divisions. The teams in the minor divisions may include Minor AA, Minor A or Minor AE teams and will be grouped based on their MYHockey rankings/ratings into competitive divisions. We will sometimes field multiple Minor divisions within a tournament and will designate these as Minor 1, Minor 2, etc. The idea behind fielding multiple divisions is to provide a narrower range of competition. There will be separate champions for each division. A Level - Teams in the A divisions will generally be the second, and possibly lower, travel level teams chosen within a Tier II organization. These teams will often consist primarily, but not necessarily exclusively, of "first year" or "minor" aged players within the age group. In some cases, AA teams with lower rankings/ratings may fit within the A divisions. We will sometimes field multiple A divisions within a tournament and will designate these as A1, A2, etc. The idea behind fielding multiple divisions is to provide a narrower range of competition. There will be separate champions for each division. B Level - Teams in the B divisions will generally be the third, or lower, travel level teams chosen within a Tier II organization or teams that are classified as Tier III. In many leagues, there are multiple A levels designated in different ways, Gold, Silver Bronze, Upper A, Lower A, A1, A2, etc. and in some areas the third level of play with in a league is designated as B In some cases, these "lower A", "A2" or other "A" labeled teams may compare directly to B level teams from other areas. We will utilize rankings/ratings information to compare these teams and leagues to make appropriate placements and so some of the teams within the B divisions may play under an A level in their home area. We will sometimes field multiple B divisions within a tournament and will designate these as B1, B2, etc. The idea behind fielding multiple divisions is to provide a narrower range of competition. There will be separate champions for each division. House Level - House divisions are fielded exclusively in our Chicago, IL, Holland, MI and Rochester, NY locations and will include only teams chosen through a draft, in which all players within an organization are assigned to a team, with the goal of creating teams of equal skill level, within their own organization, with no players "cut". We will sometimes field multiple House divisions within a tournament and will designate these as House 1, House 2, etc. The idea behind fielding multiple divisions is to provide a narrower range of competition. There will be separate champions for each division. All teams are required to present a copy of their official roster that is issued by their respective sanctioning body, either USA Hockey or Hockey Canada. For tournaments in Illinois, rosters must be received 72 hours prior to the tournament. For all other locations please provide a copy of your official, certified roster to our on-site director at the site of your first game. Only players included on your team's official roster may participate in the tournament. This is a requirement of our USA Hockey sanction so that all team's insurance will be in force. This rule also protects all teams from the possibility that players of a higher level would be added to any team. If you must add players to your roster due to injuries or other issues, these players must be formally added to your official roster by USA Hockey or Hockey Canada. Please contact your local associate registrar or your organization's registrar with questions on rules and procedures for adding players to your certified roster. Teams may register by completing the registration form and sending with full payment or a $250 non-refundable deposit. Payments may be made by check, credit card or ACH bank transaction. Teams canceling their tournament entry within thirty days of the tournament start date are not entitled to any type of refund. If we are able to fill your team's spot with a team that is paying an entry fee to play in the tournament, we will apply a credit to entry in a future tournament. No refunds, by cash or check, will be made. This offer is valid only when a team requires and books hotel rooms through MYHockey Tournaments for each event and may not be applied to any "local" or "home area" tournaments. Multi-Tournament and Multi-Team Discount offers may not be combined for a single tournament entry fee. A MYHockey Tournaments representative will work with you to determine the maximum discount to which your team is entitled. Schedules are generally released and sent to team contacts, along with final hotel information and confirmations, two weeks prior to the tournament start date. It is important to note that entry fee balances and all required documentation must be received prior to release of the schedule to your team. We will contact you if additional information is required. The schedule will generally be published to our website for public viewing four to five days prior to the tournament start date. Tournaments held Friday through Sunday could begin as early as 7:00am on Friday and all championship games will be concluded by approximately 6:00 pm Sunday. Four tournaments listed as Friday through Monday, teams will play either a Friday through Sunday or Saturday through Monday schedule. In general, this decision will be finalized 4-6 weeks prior to the tournament start date. Teams playing Friday through Sunday, could begin play as early as noon Friday and will complete championship games by 5 pm Sunday. Teams playing Saturday through Monday could begin play as early as 7:00 am on Saturday and will finish by 6:00 pm Monday. For Saturday through Monday tournaments, held over various holiday weekends, play will begin on Saturday at 7:00 am and all championship games will conclude by 6:00 pm Monday. Generally, younger teams (mites, squirts, pee wees) begin play earlier each day and will complete their championship games earlier on Sunday or Monday. Bantam and Midget teams will begin later on Friday or Saturday and will play the later championship games on Sunday or Monday. We will always be candid with you team contacts regarding what we can and cannot do in regard to the schedule and we ask team contacts to be candid with their parent groups in regard to scheduling guidelines and parameters. Plan for success when making flight arrangements; assuming that your team will play in the championship game on the last day of the tournament. Teams traveling by air should provide us with flight times no later than 21 days prior to the tournament start date. If you are considering flight times that conflict with the guidelines listed above, please contact us to discuss the times before booking. If your team is planning a team function or would like to attend another event, please provide us with that information at least 21 days prior to the tournament start date. It is generally best to check with us before purchasing tickets or making reservations and we will confirm our ability to meet your schedule request. Once the schedule is released, it is unlikely that we will be able to make changes to accommodate your schedule request. Please remember that once the schedule is released, your request to change the schedule will affect your opponent and probably several other teams. We will do our best to accommodate your schedule requests prior to release of the schedule and we will be candid with you about what we can and cannot do, but most teams prefer that the schedule remains stable once it is released. Our Baltimore Stars peewee team had a great time at your Pittsburgh tournament. I wanted to commend you on setting up the Peewee A1 division with "like" caliber teams. It's evident that you put time and thought into placing teams in the right divisions. Our games were very competitive and the scores reflected such. I think everyone in attendance enjoyed the 3-2 Shootout final! Thanks again. Kudos to you for setting up the best Tournament I have been in for some time. Every team in our division was evenly matched. All games were exciting to watch and coach. There wasn't a clear front runner that didn't belong in our bracket. Great competition all weekend. I just felt that not only was the tournament very well organized and run but that the players and families of all the teams that we played had great sportsmanship. You unfortunately don't see that everywhere. Please give my thanks to all those involved that helped put together such a great event. The Hotel and schedule was great, team had a blast. Looking forward to coming down again. Thanks for accommodating! Just wanted to congratulate you and your team on a well-run event this past weekend. No surprises with rink changes, refs showed up and did a decent job and overall, teams were balanced. Thanks for a great tournament......the drive home was worth it after the big win!!!! The hotel and tournament staff were excellent as was the refereeing. Thank YOU we had a great time! Hope to see you next year. I just wanted to write to tell you how much our team enjoyed the two MyHockey Tournaments that we participated in this year. The kids enjoyed playing teams from several different states. It was great to be able to get continuously updated scores in all of the divisions via your website. The organizers were easy to work with, the tournaments ran smoothly, and the medals and plaque were of a very nice quality! We look forward to attending more of your tournaments in the future! Thanks, we had a great time! This tournament was very well run. We had a great time Tim. Thanks for all of your assistance in getting us there! We had a great time Tim. Thanks for all of your assistance in getting us there! Thanks for a great tournament, Chris! It's one of the best run tournaments we've ever participated in, and we look forward to participating again! Thank you for being so accommodating for our two teams. Awesome tournament !! Chris, another great Tourney! Thanks for all you do. We'll see you next season! Thank you for a great tournament. On behalf of the Union Thunder PeeWee B team, we had a great time both on and off the ice. The hotel was very nice and the whole staff was very pleasant. Thanks for putting together such a great tournament. The competition was well matched, the officiating was top-notch, the rinks were great and everything seemed to flow very well throughout the tournament.